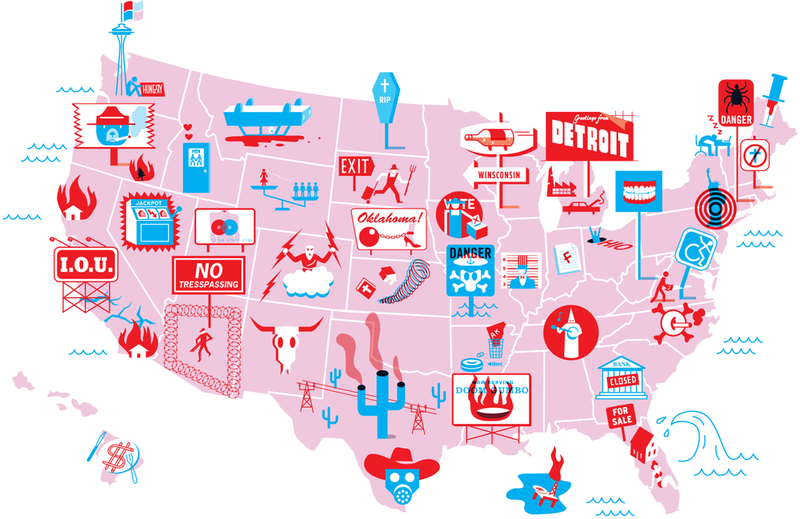 The Worst States in America, GQ, 2006. 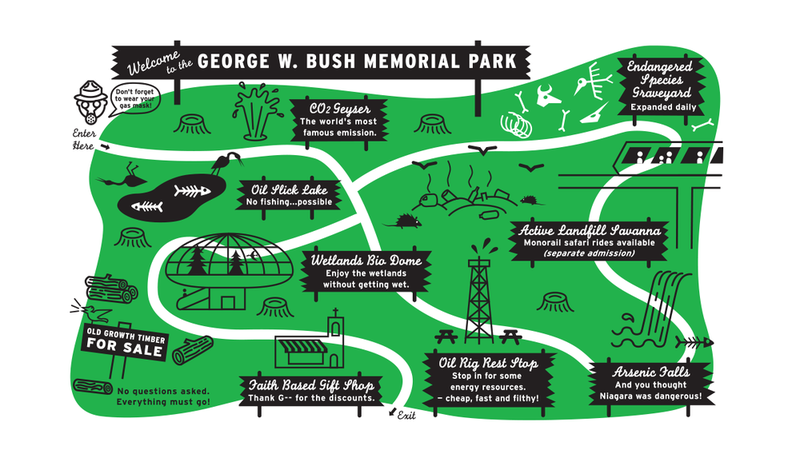 George W. Bush Memorial Park, The Nation, 2002. Tipping guide for Blueprint, 2006.